Starting the day at 3 am before the sunrise, it was both a thrill and a relief to finally arrive at the hotel. 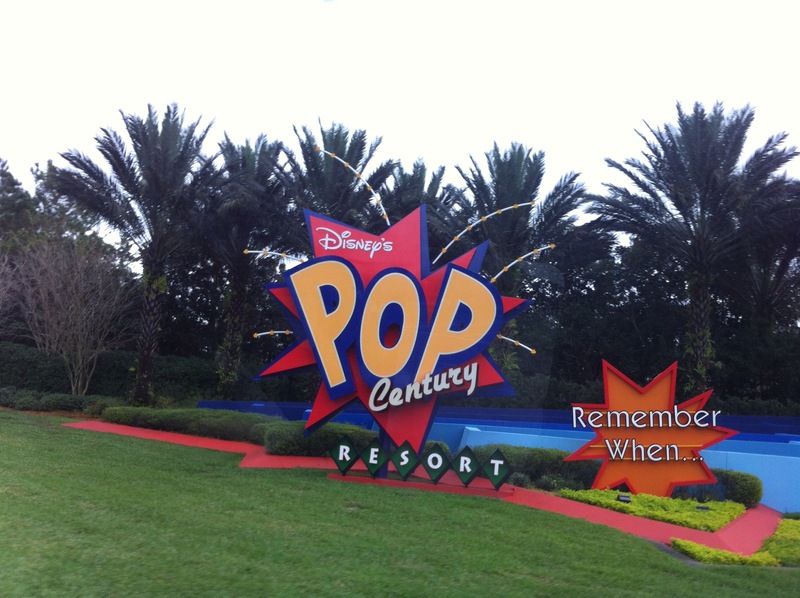 Pulling into the Disney Pop Century Resort, our home away from home for the next five nights, the exhilaration was palpable. There is great joy in finally announcing, “We’re here!” when travelling with kids as many of you know. Everybody off the Disney Magical Express! I have never been in the presence of so many genuinely happy people as when at Disney. There is no fake joy being tossed about here, just ear to ear grins of folks that love spreading happiness – and their jobs. I found myself constantly smiling! Yes, I do frown occasionally (I know, it’s hard to believe) even though I try to stay upbeat. I shall apologize now for the blurriness of some of these photos. The night before leaving home I decided to treat myself to a new iPhone 5 and was still trying to figure it out. You are all a nice bunch so I know you will look past the static. Moving on. 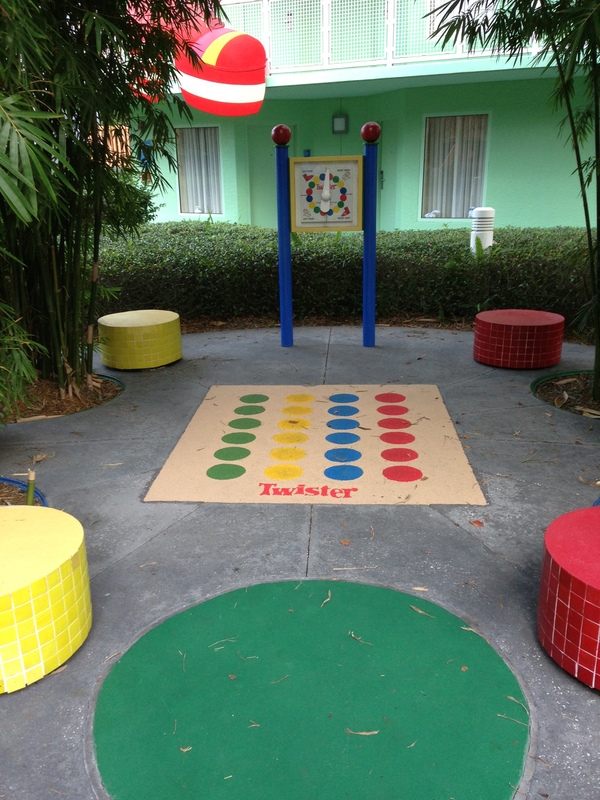 A game of Twister anyone? The trek through the hotel grounds included three pools, an arcade, numerous photo ops, playgrounds, and the plant and animal life to just touch the tip of the iceberg. 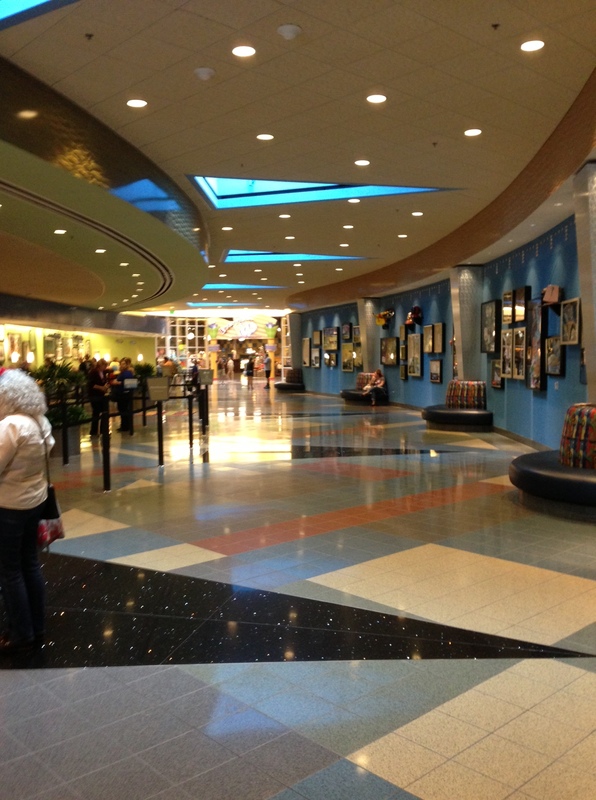 One could stay at any Disney themed resort and never have to leave it the entire stay there is so much to do! My two kids were entranced by the geckos (or whatever type of little lizard they were) and were always on the look out for them. My daughter was very worried that they would be stepped on and tried to keep everyone abreast of the gecko crossings throughout our stay. We never did swim in the pools though, we were far too busy. So much for my entire wardrobe of bathing suits I packed. Next time. We were only in our hotel room long enough to drop off our luggage and turn around so as not to miss our reservations at Bongos Cuban restaurant in Downtown Disney. 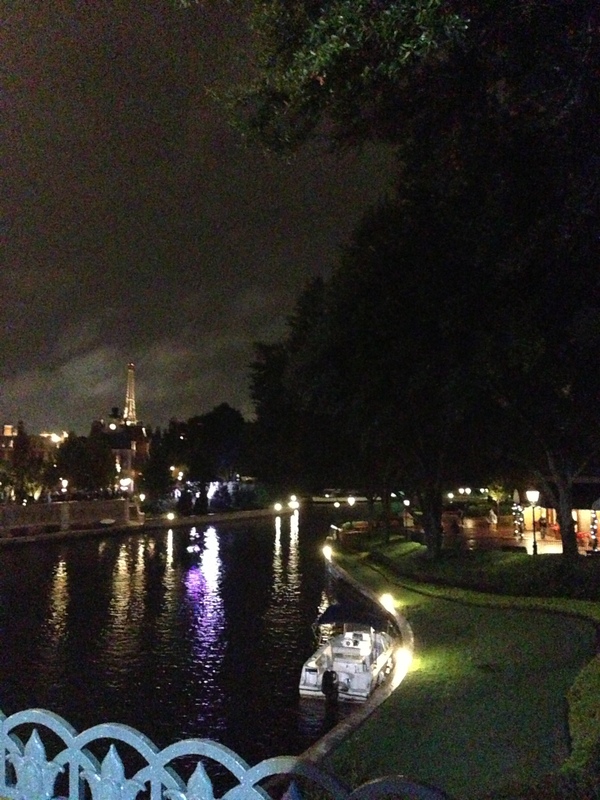 Side note: Downtown Disney is a world all of its own outside of the Disney theme parks. An incredible place to visit with so many great things to do. My only disappointment was not being able to enjoy live music at The House of Blues. I’m thinking Disney would be a great girls trip in the near future…great but dangerous I’m sure, knowing the wild and wonderful women that are my closest friends. Sheesh, sidetracked again…Bongos Cuban restaurant as described by my teen-aged son that can eat like a locust, “That was the BEST meal I have ever eaten in my life! I wish I could eat here every day.” I have honestly never seen him consume so much food as he did that night. I’m surprised he even tasted it he inhaled everything around him! 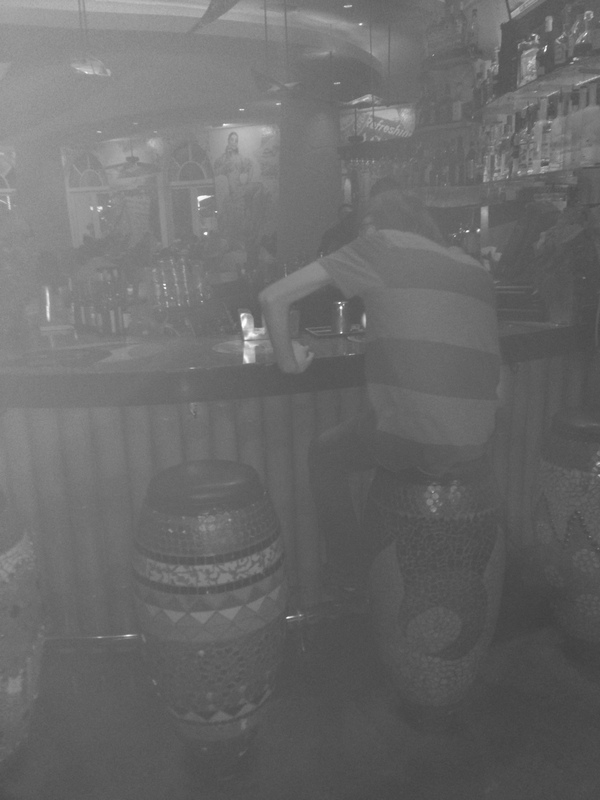 The only photo I took inside Bongos was my son sidled up to the bar while waiting to be seated. Bongos had a great atmosphere that was fun with great music that kept everyone upbeat. I highly recommend this eatery. 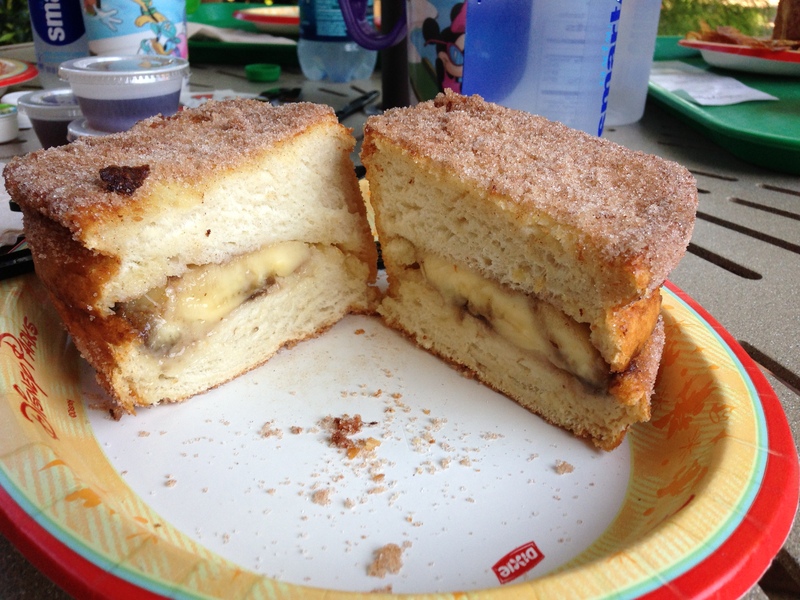 I am not a breakfast-loving girl but Tonga Toast broke me…I almost ate it all! Honestly, I could do an entire post on the fantastic restaurants and food at Disney but I would like to move on to other things. I will say though that the level of professionalism from all restaurant staff was spectacular. The chefs are obviously highly dedicated to their craft and take great pride in their finished products. As a family with a few food allergies and special requests we were awed by the impeccable care given to our needs. A chef even came out to talk with us personally and do a rundown of each item on the menu and how it could be altered to suit our needs. Stress-free goodness on a plate for a vegetarian that has anaphylactic allergies, let me tell you. 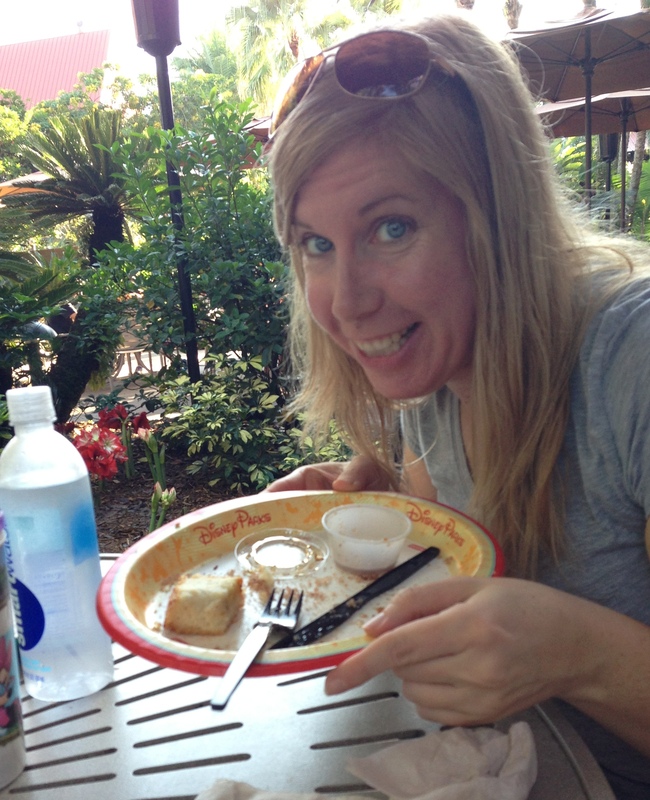 My kids have stated on a few occasions since returning home how much they miss the awesome food at Disney. You’d think my cooking sucked…thanks guys. The next morning, we were up early and raring to hit the pavement. We walked like we’ve never walked before over the next few days and my sister and I tuckered out the kids every single day. Interesting how we had far more stamina than teens. Every night it seemed as though the kids were nearly begging to go to bed. Ha! Music to my mommy ears. 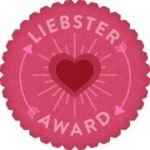 I will not bore you with a boat load of photos but I will add a few that capture some of our favourite moments…and a couple embarrassing, yet highly entertaining photos as well. Life shouldn’t be so serious that we can’t laugh at ourselves occasionally. 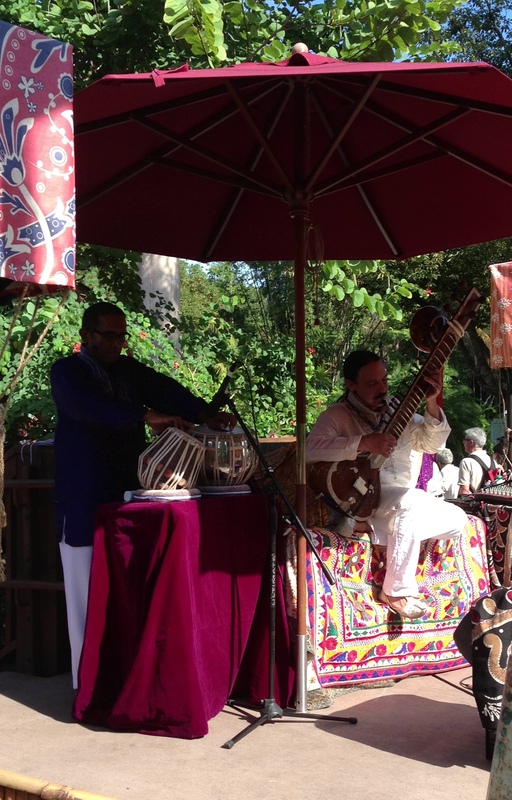 This musician was in one of the squares in Downtown Disney and was phenomenal. 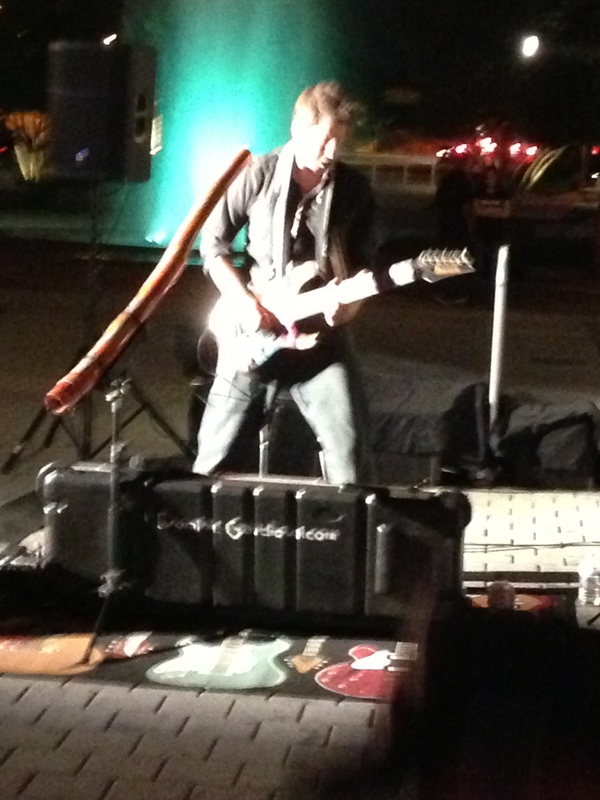 He played both the electric guitar and the didgeridoo while singing. No kidding! Check out his website to hear his incredible talent and perhaps purchase some fun new tunes for yourself. 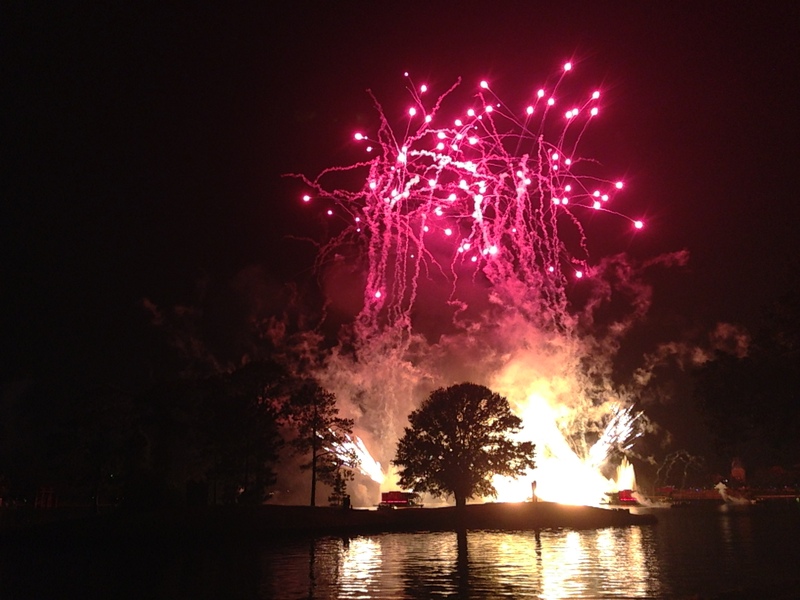 Fireworks at Epcot – best fireworks display I’ve ever witnessed. This duo was top-notch. My son and I sat and listened for an extended period of time (in the shade). 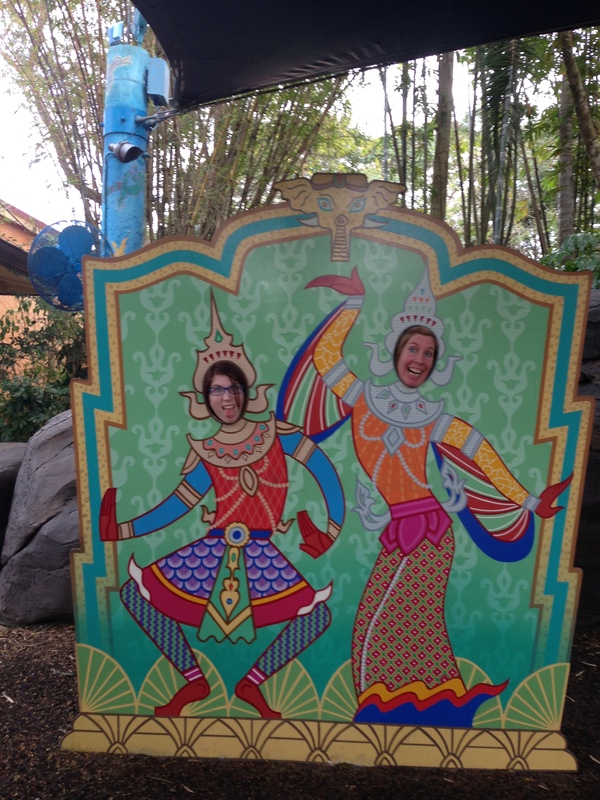 fun photo op – who could resist? 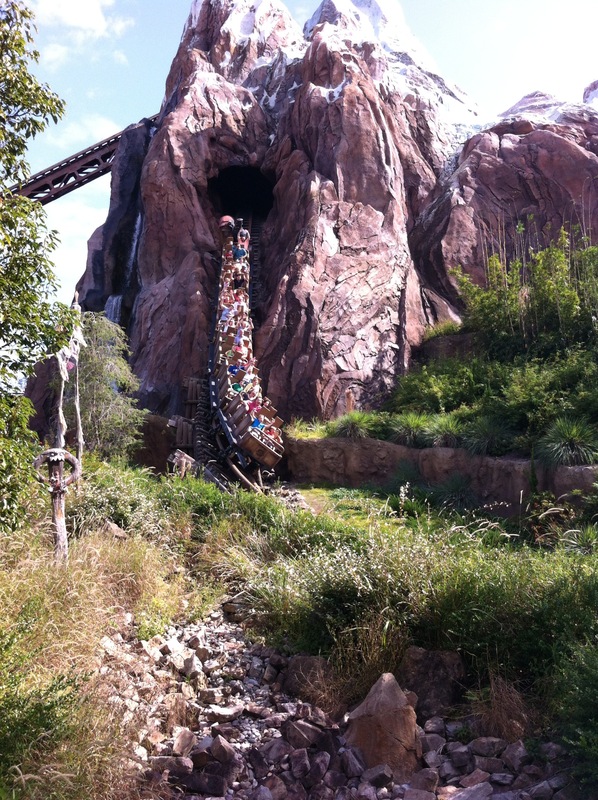 Expedition Everest Coaster – oh look, it’s me and my sis! Third person back from the front in the black shirt is moi. Screaming my head off…lovely. Indiana Jones movie set attraction. 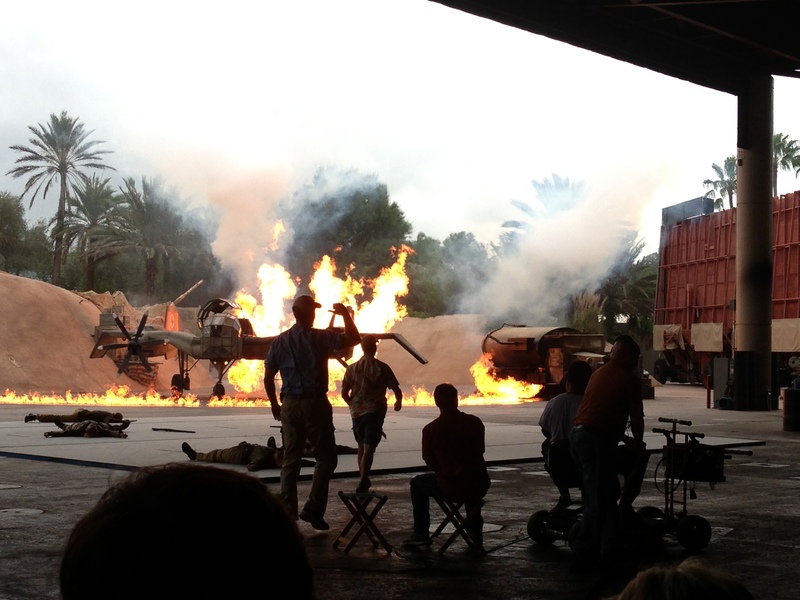 Demonstrates how the special effects were executed. 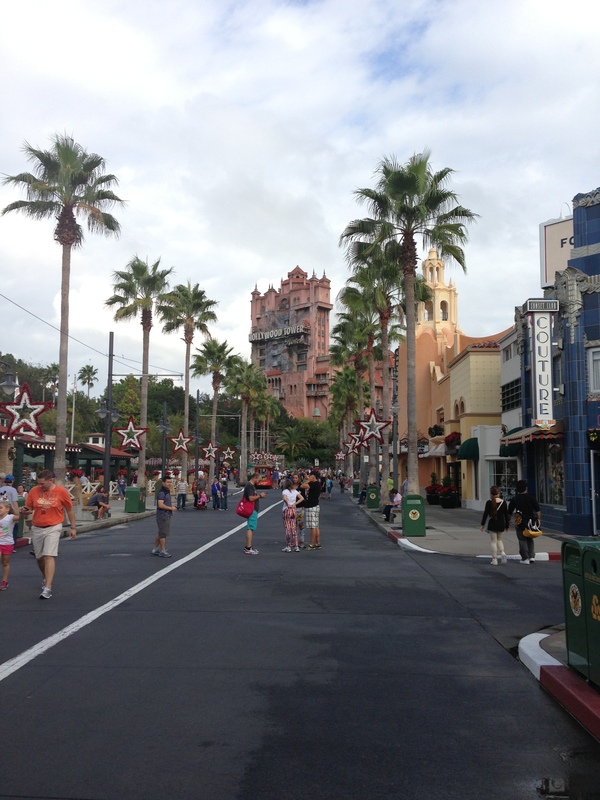 Tower of Terror – everything I thought it would be…and more! 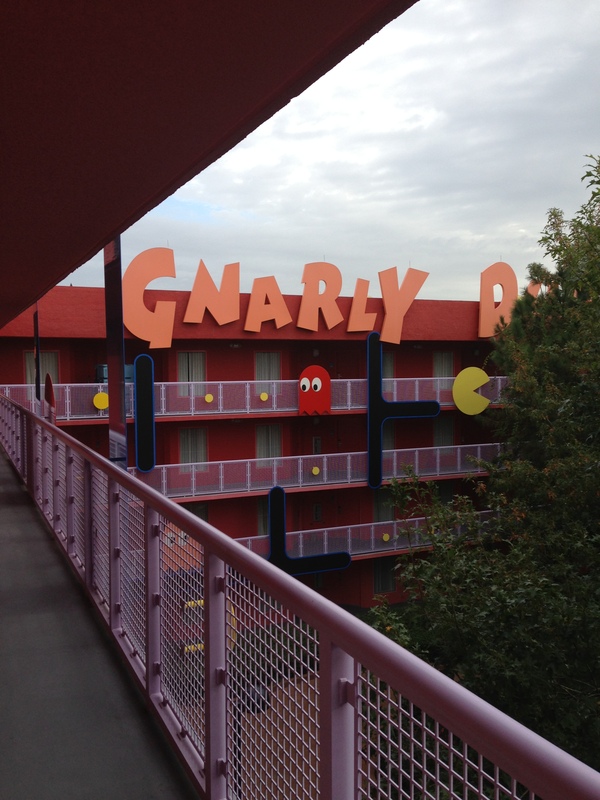 I wonder how many people have suffered heart attacks on this ride? 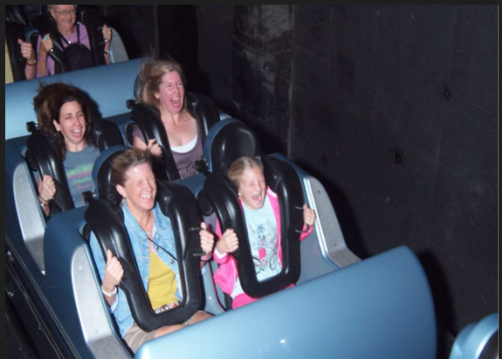 Aereosmith Rock ‘n’ Roller coaster – guess who? Whoa that was FAST! 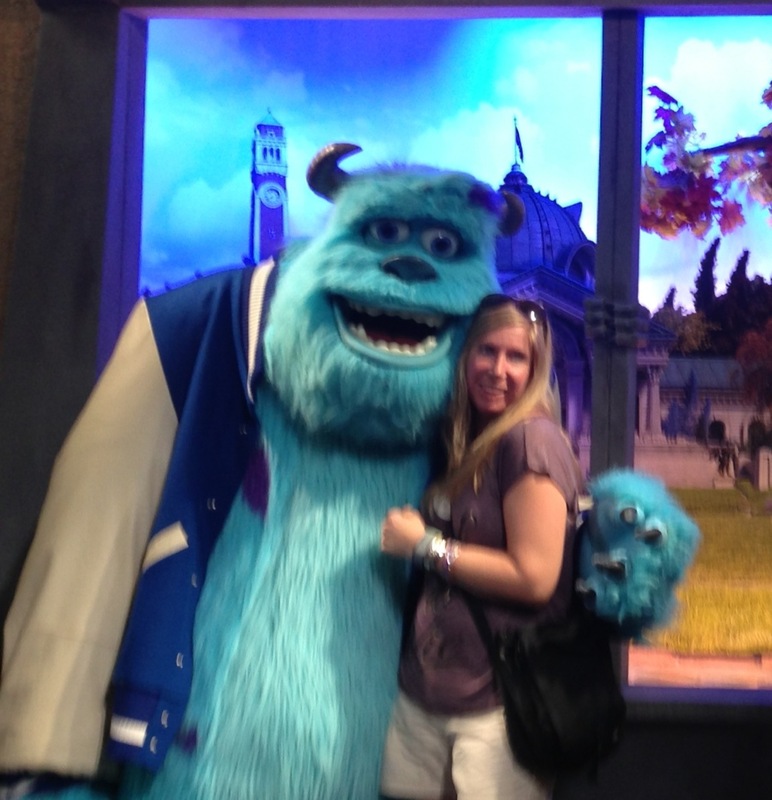 Sulley and I – I thought meeting a character would be a bit more subdued. Not so. 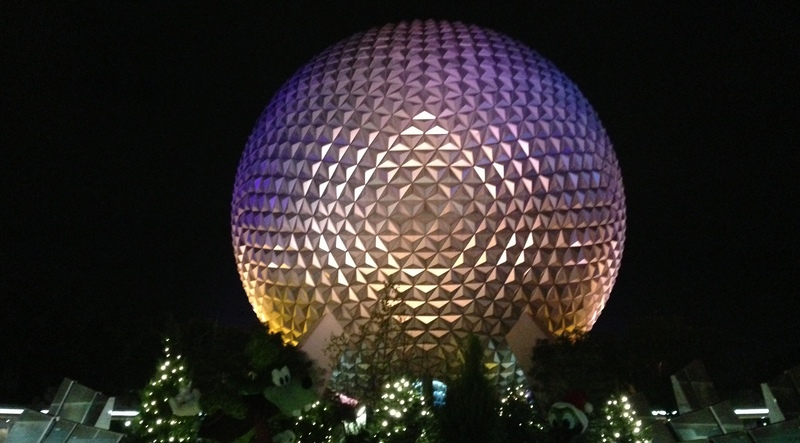 Disney has implemented many strategies to make their parks and resorts more environmentally friendly. If you are interested in their approach there is contact info on their website. In the spirit of letting our Inner Children run free, I definitely think Disney is the perfect location to just dive right in. Fast-paced or leisurely, whatever your pace it caters to every age group equally. Loving Disney as a child and returning as an adult after many years I would have to say that I enjoyed it more this time around. Honestly, if someone has a hard time enjoying Disney they need their head examined. 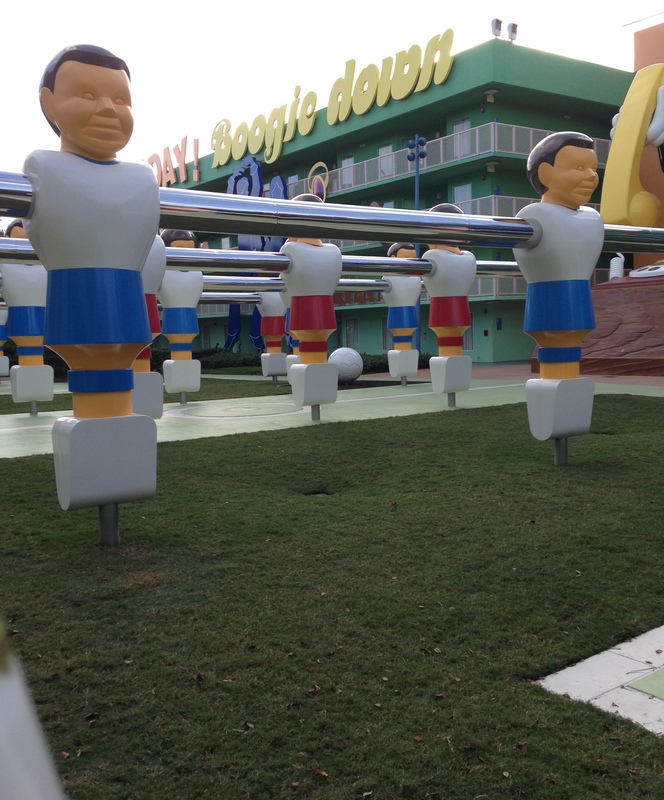 During our visit to Florida we took a side trip. Where did we head off to? You’ll have to read my next post but I promise I won’t make you wait too long.